These days, Twitter is synonymous not only with communication and sharing but also with doing so while on the move. If you need an application to make your Twitter experience more mobile then you won’t have to look too far to find one. Here are 9 Twitter applications to make your life a little – and your business – easier and a lot more fun. 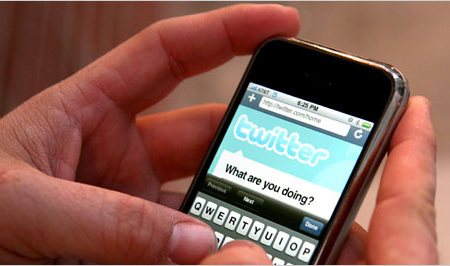 Twitpic has become one of the most popular and downloaded apps for mobile phones. Just like the online version, the Twitpic app allows you to easily send images from your phone to Twitter. If that isn’t enough, Twitpic has a bunch of Twitter clients, too (for example, TweetDeck, which has TwitPic integration functionality). Just take a picture (or use your gallery images) and you can upload it to Twitter in an instant. Definitely worth the small cost to download. While of the subject of TweetDeck, what better application is there than this to maintain your Twitter stream? This app started off as a desktop program and now is almost indispensible for many Twitter users. It has been refined and developed and now can handle not only Twitter but also other social platforms (such as Facebook and LinkedIn). Want to shorten your URLs, share your images, or use multiple accounts? TweetDeck can be your answer. It sports a user-friendly and attractive layout and you can easily see, at a glance, your @mentions or replies, Twitter stream, and direct messages. Another application that offers integration with Twitter as well as other social networks is Seesmic. With this you not only have great basic functionality but you can also save searches and use a number of image options. Seesmic allows you to post to dozens of social networks in an instant and supports Twitter as well as Facebook and Ping.fm (the latter allowing you multiple social platform postings). If you want to save crucial messages and status updates then you can do so by simply sending them to Evernote; you can also save links with Instapaper or Read It Later. Want to share updates by email or send images to photo services? Want to add your whereabouts to a map? You can do these with Seesmic. Meanwhile, if you are listening to a song on your way to a meeting and want to Tweet it to your friends then you might want to check out Osfoora. This is an app only for the iPad, but it offers the user the ability to save draft Tweets, “pull down” to refresh, and translate foreign words and phrases: definitely worth a look, but it’s not free. Also check out HootSuite. This is a free app supposedly for professionals, but I advise you all to use it. It allows easy use via column swiping and has a great interface. HootSuite sports most of the functionality we have already covered, and it also allows scheduling of Tweets and the ability to explore trending topics (useful if you want to be in on the current buzz). Perhaps a bit advanced for the basic user – there is a bit of a learning curve – but HootSuite can be a great social media tool for business. If you are a Twitter fan but have never heard of Augmented Reality Browsing, then head over to the oh-so-cool Layar app for the iPhone (and Android). The application is a little difficult to explain in pure text form – you have to use it to appreciate it. But, by using your camera lens you can gather real-time digital information about your location and therefore locate points, products, and services of interest right in front of you. It is a combination of digital and real world reality. Oh, and it’s free. We can’t do a rundown of popular and useful Twitter apps without mentioning the official Twitter application (previously called Tweetie). This is useful if you want simplicity tagged with functionality. The app offers a number of useful functions (multiple accounts, direct messaging, trends, and geotargeting), but remains easily recognized and great for everyday use to basic “Twitterers”. To morph, in an instant, from the basic to the downright zany, have a look at Tweet Defense, an iPhone app that is worth the small investment simply for the addiction factor alone. It gives a unique form of social integration and allows you to use your Twitter stats to fight enemies such as viral marketing zombies and the lumbering massive Blubberbie. We know – it sounds pretty zany indeed. But more than just a fad, Tweet Defense is an inspiring tower defense game where you actually use your friend list and your tweeting activity to develop your strengths. If you want to go one step further into the world of Twitter App Zarg, then download the reasonably priced Super Twario for iPhone. Mix Super Mario and Twitter for a perfect combination of fun and retro experience. This is a concoction of modern tweeting and bygone era platform gaming. With millions of friends, followers and stalkers, see how Super Twario can improve your “twext life”. Use the accelerometer feature of the iPhone to move around while navigating the game and at the same time continuing to tweet, reply, and retweet as usual. Really cool stuff. Twitter is surely fun as evidenced by the millions of users. But combine that fun with the ability to interact, engage with friends, social and professional networks, and even random gamers – and there you have a recipe for endless interaction.